Christina has worked as a Clinical Psychologist and Clinical Psychology Supervisor for over thirteen years in both government and private practice settings. As such she has a vast array of skills and is happy to see clients from childhood to adult. Christina has interests in a number of areas aside from anxiety, depression and stress including trauma and post-traumatic stress disorder, drug, alcohol and internet addictions, eating disorders, chronic pain management and illness, sexual issues and offences, relationship and family issues, family court matters, personality disorders, child behaviour management and parenting, ADD/ADHD, learning disorders, anger and dysregulation, autism and intellectual disability. Christina can undertake a range of formal assessments. She is happy to see clients related to Workers Compensation or Insurance claims and also clients from various government departments like the Department of Child Protection and the Disability Services Commission. People wanting to access child behavioural and family therapy services under the National Disability Insurance Scheme are also welcome. Christina is also an Australian Health Practitioners Regulation Authority (AHPRA) approved Clinical Psychology Supervisor and is happy to supervisor Clinical Psychology Registrars and Clinical Psychology students. Frederico is a very experienced psychologist that has worked in the psychology field for 14 years of uninterrupted service both overseas and in Australia. Frederico is a very engaging person with a calm manner and he is very dedicated to assisting people to achieve good outcomes from psychology and within their lives. Frederico is highly trained in the analysis of behaviour and cognitive behavioural therapy. 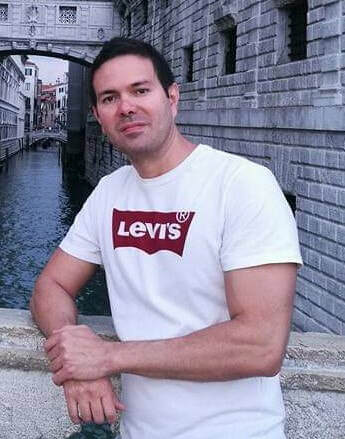 He is also highly skilled in solution focussed therapy and motivational interviewing, Over the years, Frederico has had significant professional experience in a variety of settings, such as; Mental Health Ambulatory, Psychiatric Day Hospital, Supported accommodation, Employment agency (which included rehabilitation) and Individual Counselling. ​Frederico has also worked with people that have experienced abuse and trauma and people with anger/aggression issues. Frederico is happy to see adults of all ages. Athalie is a Registered Psychologist with experience providing therapy and assessments with children, adolescents, adults, and families. She has supported clients with a range of mental health issues including anxiety, depression, anger, grief, relationship distress, trauma, and self-harm and suicide ideation, and has a special interest in specific phobias and behavioural management. When working with children, Athalie uses play-based techniques and encourages family involvement to promote a holistic learning experience. Athalie is passionate about supporting her clients to live rich and meaningful lives. With a warm and empathic demeanour, she aims to provide a safe and relaxed space in therapy for clients to share their difficulties. Athalie is trained in a range of evidence-based therapies, including Cognitive Behaviour Therapy, Acceptance and Commitment Therapy, Dialectical Behaviour Therapy, and Mindfulness. She will tailor techniques to address her clients’ individual needs and concerns for lasting, practical change. Kasia is a registered psychologist who has had experience working across a range of mental health settings, including community mental health services and drug and alcohol youth service (DAYS). She holds a Bachelor of Psychology degree with Honours and a Masters of Clinical Psychology obtained at Edith Cowan University. Kasia has worked with both youth and adults in a range of areas, including anxiety, depression, stress, low self-esteem, OCD, schizophrenia, and substance use amongst others. Her approach in therapy is to listen carefully and work collaboratively with clients to identify and achieve their therapeutic goals. She applies a range of evidence-based interventions tailored to the client’s personal needs and circumstances, including CBT (Cognitive Behavioural Therapy), ACT (Acceptance and Commitment Therapy), and Mindfulness techniques and relaxation strategies, where needed. Kasia also has experience administering a range of cognitive assessments. She has a particular interest working with children with learning difficulties, ADD/ADHD, autism, behavioural problems, social skills, low self-esteem, depression and anxiety, as well as providing support and education for parents. In her spare time, Kasia enjoys swimming, painting, reading and walking her dogs. In accordance with the Australian Psychological Society Guidelines Fees can vary depending on the psychologist. ​Telephone the centre on 08 9379 3580 for details.